An R.H.N.™ is a professional trained in natural nutrition and complementary therapies whose principal function is to educate individuals about the powerful health benefits of optimal nutrition. R.H.N.s work with clients to help identify and correct system imbalances and investigate the root cause of health issues and disease. 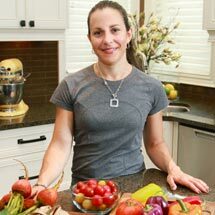 A Holistic Nutritionist is qualified to formulate a personalized diet, supplemental and lifestyle programs that help to restore balance and health. The human body has an amazing ability to heal itself, if given the chance! Why Holistic Nutrition and Exercise? When you exercise it’s important to fuel your body in order to sustain your work and to help your body repair and recover from the work you put it through. Whether your goal is to lose weight, change body composition, build muscle, improving sport performance or to maintain your current level of fitness, a healthy diet is the largest contributing factor to your success. Exercise without nutrition is just a lot of sweat and hard work!